The Most Successful Give to Gustavus Day To-Date! Thanks to the generosity of alumni, students, faculty, staff, and friends of the College, Gustavus raised $215,666 for the Gustavus Fund during its annual Give to Gustavus Day on November 16, 2016. This is the most successful Give to Gustavus Day event in the College’s history. Give to Gustavus Day is all about participation. 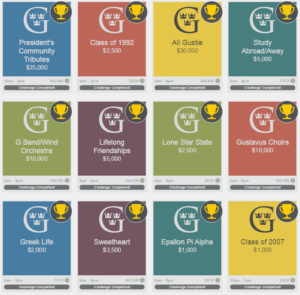 New this year were donor-sponsored challenges, each of which focused on a different theme and each requiring a certain number of participants before the sponsor gift was unlocked. All 17 challenges were met with gifts from over 750 alumni residing in 41 states and four countries! Gusties united to successfully meet the challenge and exceed the goal (as per usual)! 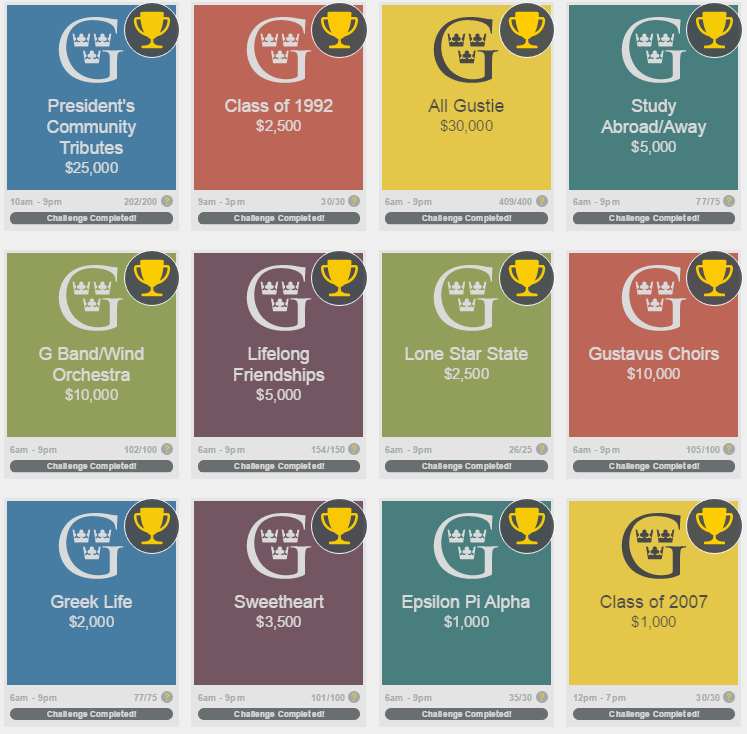 All gifts from Give to Gustavus Day went to support the Gustavus Fund. This annual fund provides student scholarships, faculty research and operational needs of the College. Each dollar given to the Gustavus Fund allows Gustavus to have increased flexibility in providing the highest quality liberal arts education for students. Save the Date for this year’s Give to Gustavus Day to be held on Thursday, November 2, 2017!